Looking for the best of both worlds? 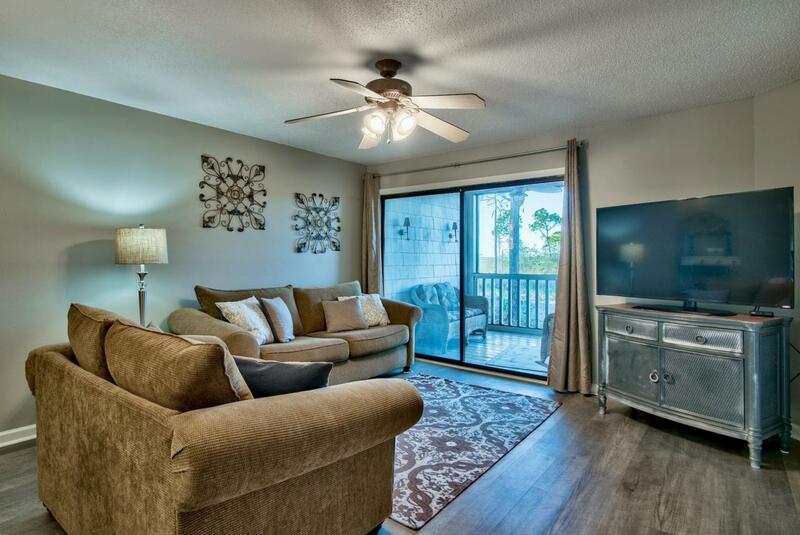 This 2-bedroom, 2-bath condo offers tranquil views of the Choctawhatchee Bay from the screened-in porch while still being in close vicinity to the beach and incredible amenities of Sandestin Resort! Enjoy nature trails, award-winning golf, tennis, and shopping, dining & entertainment within The Village of Baytowne Wharf. 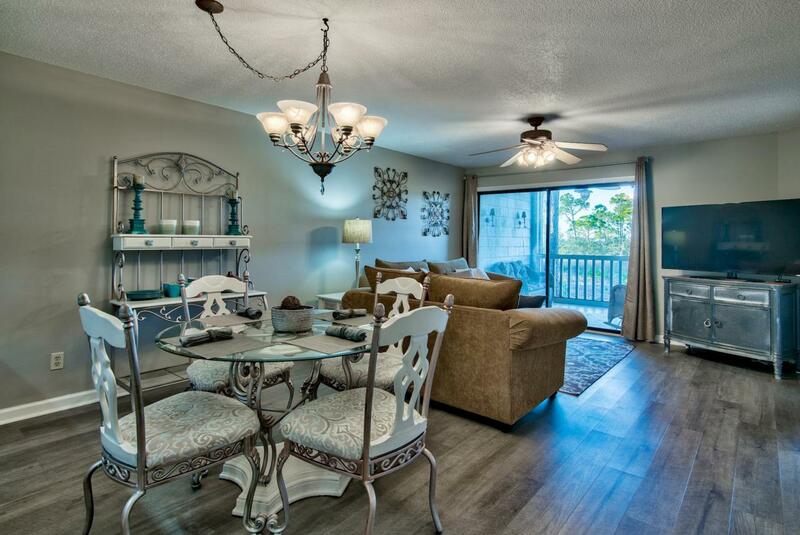 This fully furnished & decorated unit is turn key and rental ready. This could also be a great second home or full time residence with ample storage and walk-in closets in both bedrooms! The interior has been updated with new luxury vinyl flooring in the main living area and both bedrooms along with tile in the entry, kitchen and baths. Large sliding glass doors bring the outside in with views of the bay and offer great natural light.Relax on the screened-in patio that overlooks protected wetlands stretching out to the bay. Enjoy a feeling of quiet seclusion even while being located in the heart of one of the most vibrant resort communities on the Gulf Coast. The open floor plan creates a wonderful atmosphere. The kitchen breakfast bar opens to the dining area which flows easily into the living area making this an easy layout to entertain in. The kitchen features white appliances, ample cabinets and recessed lighting. Just past the kitchen is a convenient laundry closet with a full size washer and dryer and additional storage. 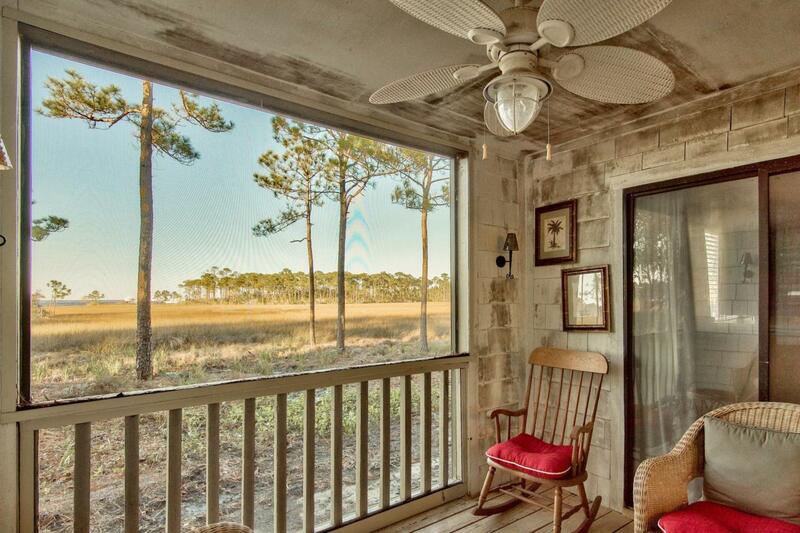 The master bedroom features an amazing view of the unspoiled wetlands and Choctawhatchee Bay. Enjoy the natural serenity outside while relaxing in the comfortable atmosphere within with a king bed, flat screen TV and en-suite bathroom. The bathroom features a dressing area, dual vanities, tiled shower/tub combo and walk-in closet. The guest bedroom is located at the front of the home and also has direct access to a bathroom with beautiful updated countertops and a tiles shower surround. This room features two twin beds and a spacious walk-in closet. There is an exterior storage closet right outside the main door which is the perfect place to store all of your beach gear! 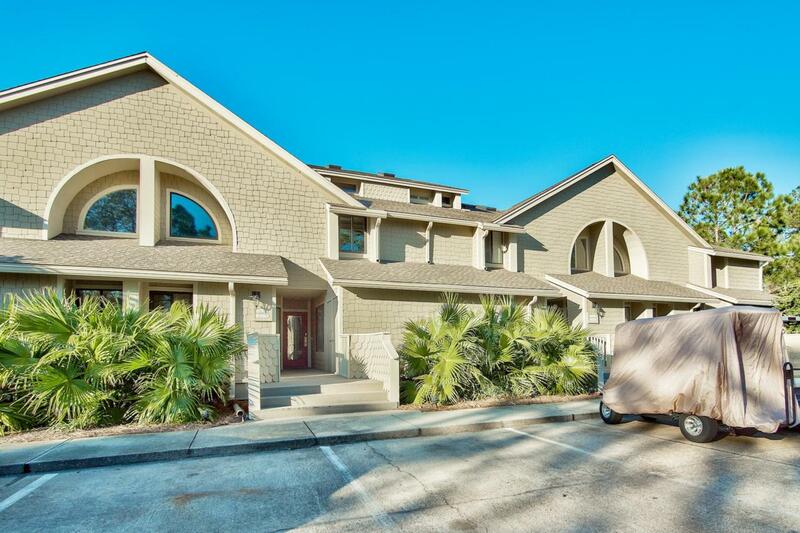 Beautiful landscaping surrounds the property and you truly feel that you are away from the "hustle & bustle" but are still close to many conveniences of Sandestin Resort, Miramar Beach, and the 30-A area. The resort lifestyle makes it easy to get a bite to eat, listen to live music and take in views of the Gulf of Mexico. Enjoy a swim at the beach or community pool. There is plenty of shopping, dining and entertainment options within Baytowne Wharf on the north side of Sandestin Resort and shopping and dining at Grand Boulevard bordering the resort can be accessed by golf cart. Sandestin Market Shops is on the south side of the resort and is easily accessible too. Lawn care, grounds keeping and amenities are included with the HOA fees allowing for "easy living" and low maintenance. Sandestin offers some of the area's finest golf courses, world class tennis facilities, bike rentals, nightlife, dining, upscale shopping and seasonal festivals. This is a great investment opportunity to own in one of the finest resorts in the area!